Get a monthly report of SIWI’s work from around the globe delivered direct to your inbox. Be informed of news, job opportunities, webinars, livestreams, recent publications, events and more. Are you a journalist covering water, development or environmental issues? Have SIWI press releases delivered direct to your inbox and be informed of the latest news for journalists. 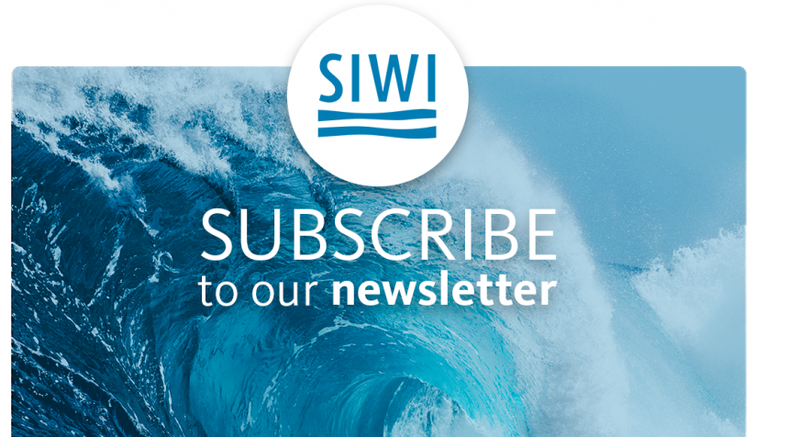 Stay up to date on the latest activities and news from the UNDP-SIWI Water Governance Facility. Subscribe to learn about our work in WASH, source-to-sea, policy development and more with this quarterly update. The Stockholm WaterFront gives you the latest angles and reports on the world’s water issues in a quarterly magazine. Have the latest issue delivered direct to your inbox. Interested in attending or participating in World Water Week? Be the first to know about important deadlines, exciting speakers and engaging networking opportunities. Interested in getting the Swedish perspective on the latest water issues? Sign up for this newsletter and be invited to interesting seminars. Mostly written in Swedish.